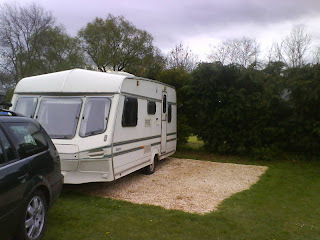 We’ve had our first caravan holiday of the year and am now heading home. DH and I relaxed whilst DD typically found loads of reasons to strop. My purple koigu socks are finished and I’m about to swatch for my next pair whilst DH takes us home. >I’d love to have a caravan!